Xiaomi is all set for the launch of its second iteration in the Android One series smartphones running stock Android interface. The Mi A2 launch date is set for July 25 in Spain, and it could also be launched in India. Now, before the official launch event, some new leaks have come out on the internet about the Mi A2’s storage and color variants which will release in Spain. Last year Xiaomi launched its first ever Xiaomi smartphone with the stock Android user interface. The smartphone was launched as Mi 5X in China and it is known as Mi A1 in global markets. 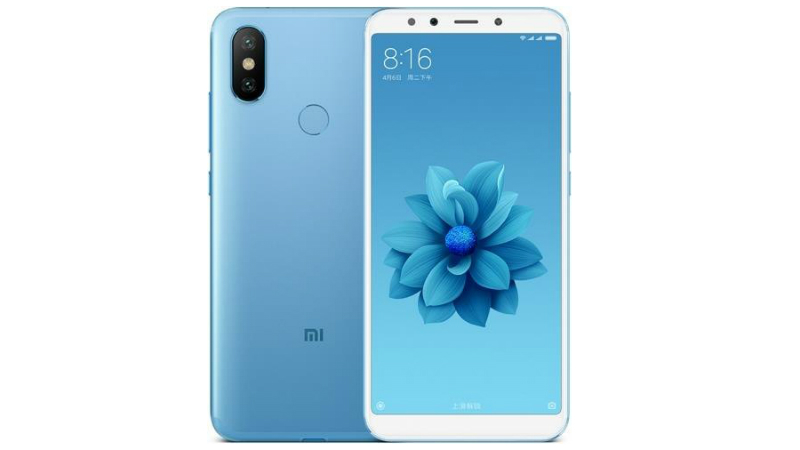 Xiaomi already announced the Xiaomi Mi 6X in China and now the company is all set to launch the smartphone in the global market as Xiaomi Mi A2. According to the leak, the smartphone will be available in Black, Blue and Gold colors. There will be four options according to the storage and RAM version; 4GB RAM and 32GB storage, 4GB RAM and 64GB storage, 4GBR AM and 64GB storage and, 4GB RAM and 128GB storage. The Mi A2 will feature a 5.99 inches IPS LCD with FHD+ resolution and 18:9 aspect ratio. It will be featuring a Snapdragon 660 SoC with Adreno GPU and 4GB/ 6GB RAM. The storage versions will be 32GB, 64GB, and 128GB which will be expandable via micro SD card. The rear camera will feature two sensors including a 12MP and a 20MP with 4K video recording support. The front-facing camera will be a 20MP sensor with 1080p video recording. The smartphone will feature 3010 mAh battery with Quick Charge 3.0 support.